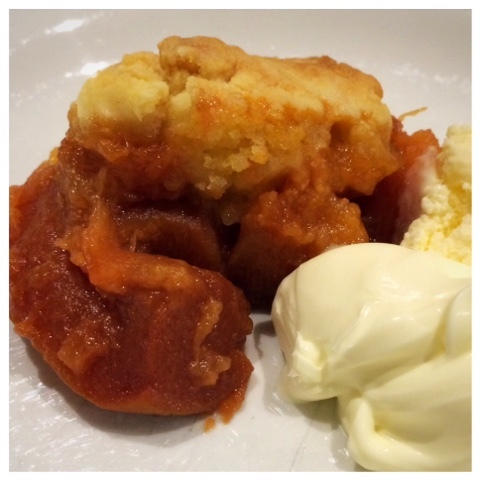 The nights are turning cooler and perfect for a heartier pudding. I really enjoy many of the older style fruit based desserts and often serve a fruit crumble or a pie. A fruit cobbler is a good alternative to a crumble and can extend a small amount of stewed fruit into a family pudding. The combination of warm fruit and the soft buttery cobbles is delicious. There are many versions around but over time I have adjusted my recipe to have less sugar and included ground almond. The fruit base needs to have plenty of liquid or syrup so that it can bubble up through the cobbles. I mostly use apricot or quince as we have a large supply of these fruits from our trees or a combination of fruits such as quince and rhubarb. Something tart like rhubarb or a handful of frozen raspberries will sharpen the syrup from the fruit as will a squeeze of lemon or some orange juice. Serve with cream, ice cream or custard. The topping is a bit like a scone dough crossed with pastry. It can be made by rubbing the butter in by hand or with a food processor or as I now do by melting the butter in the microwave and stirring it into the dry ingredients. The dough is then broken into small balls and flattened into the cobbles. Place fruit in the casserole or baking dish. 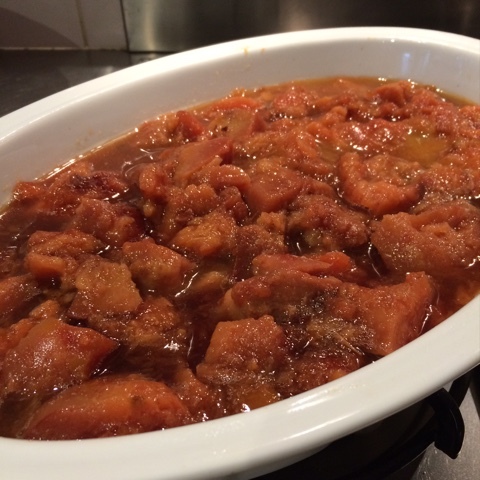 Make the Cobbler Topping (recipe below). Roll the topping into small balls, slightly flatten each ball and arrange over the top of the fruit. 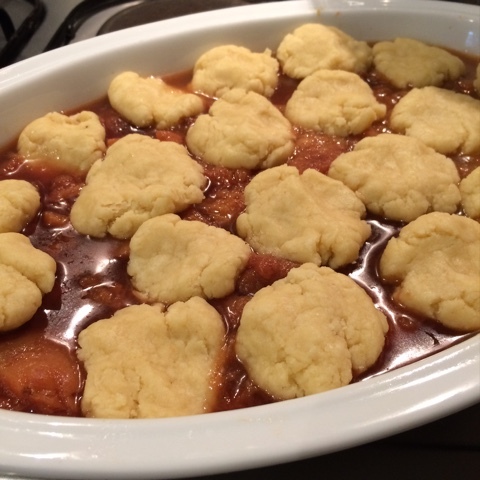 Bake cobbler at 180 deg C until golden brown and the fruit syrup is bubbling up through the cobbles, approximately 30 - 40 minutes. Reduce heat if the topping is becoming too brown. Combine flour, sugar and ground almonds in a bowl. 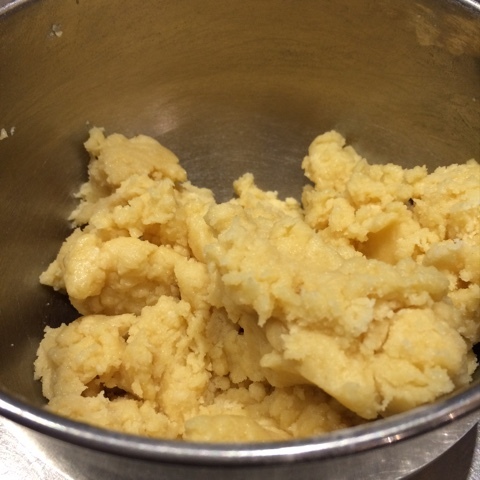 Melt butter and pour into flour mixture, add sufficient milk to make a soft dough.